Hi, my name is Tausha, and I am addicted to my iPhone. There. I said it. The first part is admitting, right? I literally feel as though something is missing from my body when I don't have my phone. Now that we've gotten that out of the way, I'll explain why I shared my addiction to my phone. That's because my phone is one of the most important objects I have on me when I travel. There's my passport (which is obviously crucial when going abroad), my credit cards, cash money, medication and a few other items that I always like to have on hand, but I literally feel as though something is missing from my body when I don't have my phone. One of the reasons I love having my phone on me when I travel (or just when I breathe) are the apps! I am very organized about my iPhone apps. I don't like swiping around to find what I need so I keep my apps grouped by category e.g., social media, reading, communications, NYC and travel (of course), to name a few. The Weather Channel: Yep, I'm starting with the weather. While I do like to also check AccuWeather, it's often The Weather Channel app that helps me decide long sleeves or short, dress or pants, umbrella or no umbrella? I study the hourly forecast as if it holds all the secrets in the universe (it doesn't), and then I cross my fingers and hope for some accuracy. Google Maps: I was recently interviewed about the last time I was ever truly lost, and I talked about how it was before I had a smartphone and before I had Google Maps on my phone. I use Google Maps literally every single day, whether I'm traveling or not, but I appreciate it the most when I'm in a foreign country and have no idea where I'm going or how to get there. Thanks for helping me never get lost, GM! Snapseed: I feel like people are either Team Snapseed or Team VSCO. I am the former, mostly because I found the latter confusing but that could just be me. I love how easy and intuitive the Snapseed app is, and it's pumped some life into my photos that always make me say, "ohhh yeah, I love that!" Instagram: Yep, I love Instagram for traveling. First, because I've always been a visual person and I like the ability to occasionally post photos or videos of my travels, both while and after traveling. And second, because I also use it as a way to stay in touch as needed. 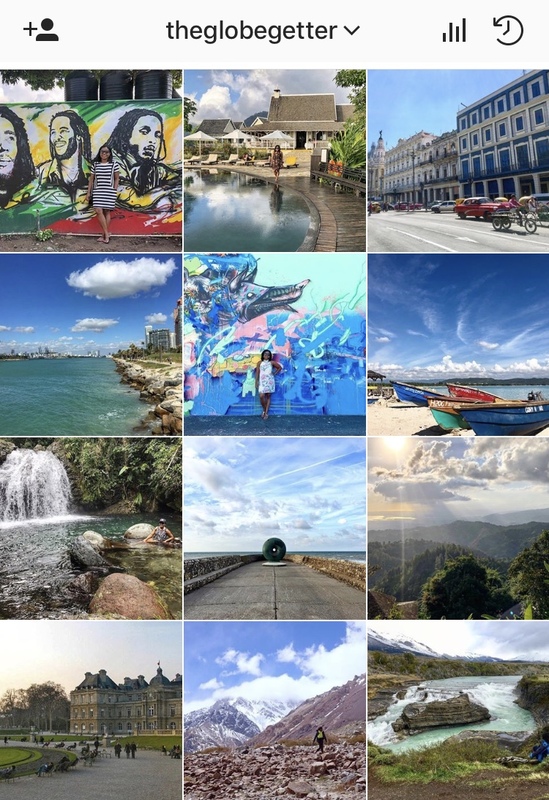 I try not to spend a ton of time on Instagram when I'm on the road, but it is easily my favorite social media app in general and particularly for traveling. Uber: I may get yelled at for this one, but I'm keeping it honest – I have Uber on my phone and I use it frequently when traveling. I had deleted it during #DeleteUber and the terrible behavior of its founder, but after he was let go, I brought it back. And the truth is, it is easily the most convenient ride sharing app when I go abroad. I have Lyft and a few others, but Uber is what's often available, so I've used it in South Africa, Australia, the Philippines, the UK, Chile, Argentina and so many other places. Tricount: Going on a trip with your friends and need to keep tabs on who's paying for what? Enter Tricount. I honestly can't remember which friend told me about this, but I love it. You simply enter all the names of the people you're traveling with and then, as people pay for things, you add in who's paid for what and the app keeps track for you. At the end, it simplifies and summarizes who owes what and to whom, so you don't have to do the math. TripAdvisor: This is one of my go-to apps during the research stage of my travels, though I do occasionally refer to TripAdvisor while traveling if I want to quickly read up on a place or activity. I don't take everything on TripAdvisor at face value, but I like to see what people are generally saying, and I've always found the forum sections to be particularly helpful. Dropbox: I am terrible with my camera (my actual camera, not the app). I've dropped my camera while in Stockholm, smacked it against a rock in Cape Town and submerged it in sea water in the Philippines (it was an accident!). As you can see, I need help. So what I do now is transfer my photos from my camera to my phone immediately and then upload the new photos to Dropbox in case anything happens to either my camera or my phone. I also don't trust iCloud, but that's a story for another day. WhatsApp: This app makes keeping in touch with friends and family while traveling so easy and simple. I also love that I can call people via WhatApp (for free! ), and even when my iMessage is acting up and won't let me send photos despite being on WiFi, my WhatsApp is always working and never lets me down. cloudLibrary: Some of you may be thinking, "what's cloudLibrary?" Well, it's exactly what it sounds like – a library in the cloud. I read a lot on my phone and I like borrowing books from the New York Public Library, but I haven't actually stepped into a library branch in a very long time because of the cloudLibrary app. Before going on any trip, I always download a few books to read, which I can access even while offline or in airplane mode. Get into this, bibliophiles! What are your favorite apps for traveling?